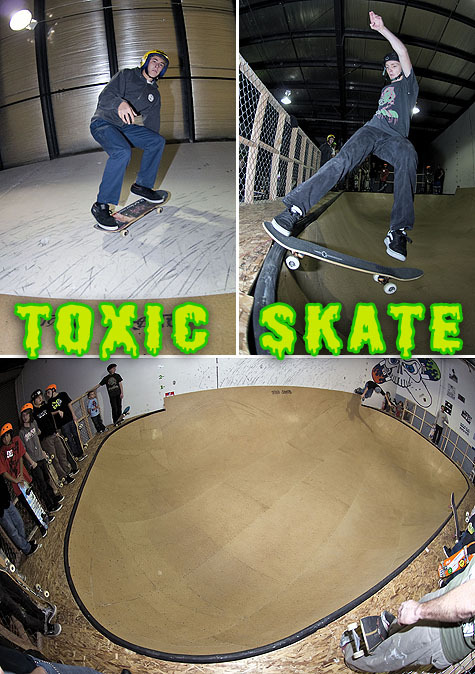 First there was DoS, then EPIC, now joining the league of indoor skate spots is Toxic Skate located in Vancouver, WA. We were on hand last Saturday to sample the grand opening festivities that included a surprise father/son skate demo by Team Cold War. Toxic Avenger approved, check out all the action in the gallery. Thanks for the post guys !! the bole is amazing it is hard to get used to bc it is fast but it is way fun… come skate it for your self.